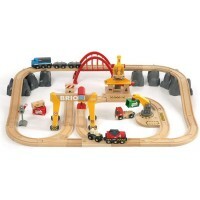 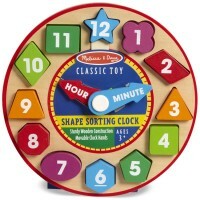 This new Melissa & Doug's wooden dump truck doubles as a shape sorter! 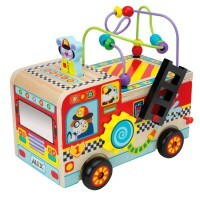 It's a play truck! 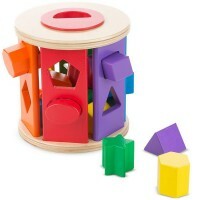 It's a shape sorter! 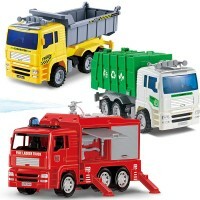 It's a vehicle play set! 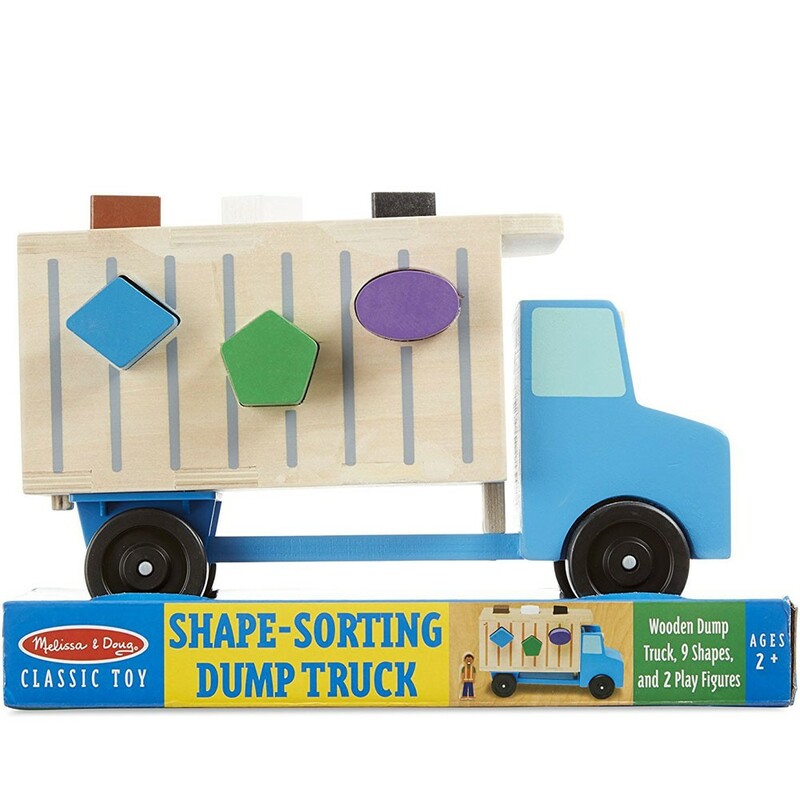 This wooden dump truck doubles as a shape sorter! 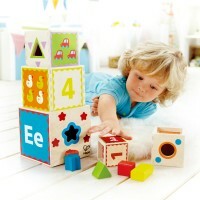 Kids can fit nine wooden blocks into the cut-out shapes on the sides of the truck. 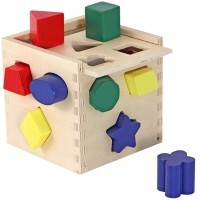 Dump out the blocks by lifting the back door and tilting the container. 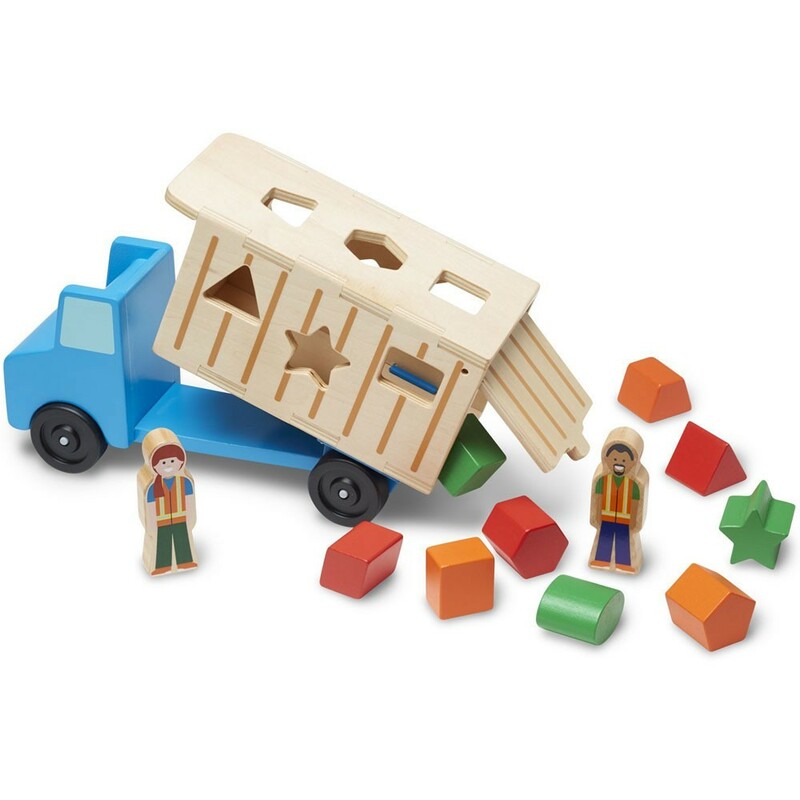 The Shape Sorting Dump Truck Wooden Toy comes with two play figures who sit in the cab of the truck. 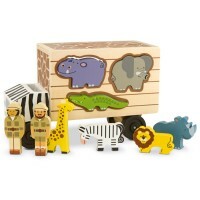 This beautifully constructed truck from Educational Toys Planet offers so many learning opportunities – shape and color recognition, counting, and imaginative play, to name a few. 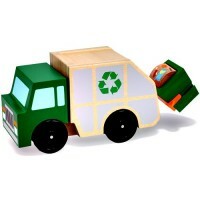 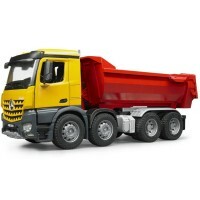 Write your own review of Shape Sorting Dump Truck Wooden Toy.